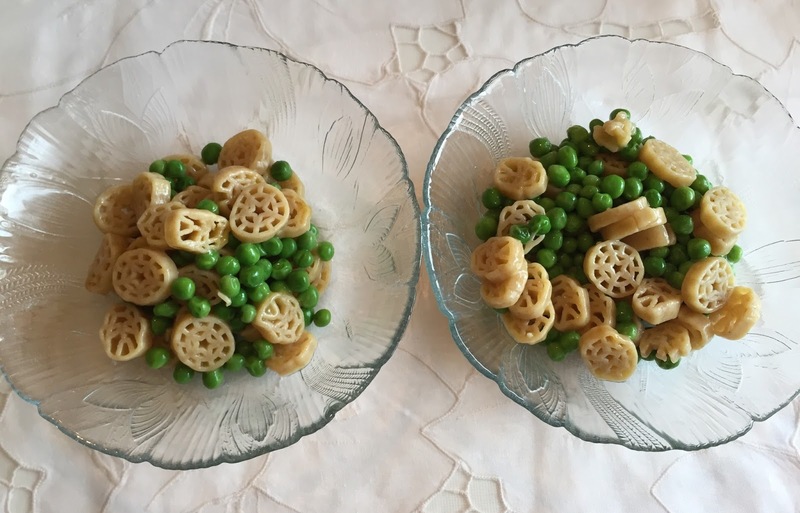 We found a bunch of new foods and snacks last night at the supermarket, and today, we tried "Birds Eye Whole Grain Pasta & Peas with a Butter Sauce." 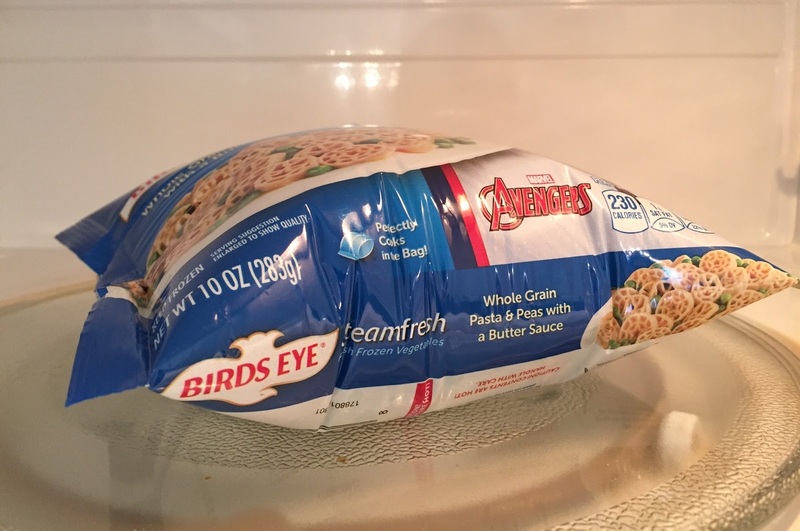 Birds Eye is an American frozen food company, headquartered in New Jersey. On the right top, it says, "NEW!" 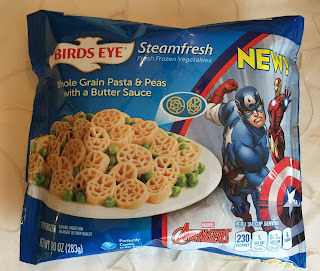 with Captain America an Iron Man, and the pasta is shaped like Captain America's shield and Iron Man's face. 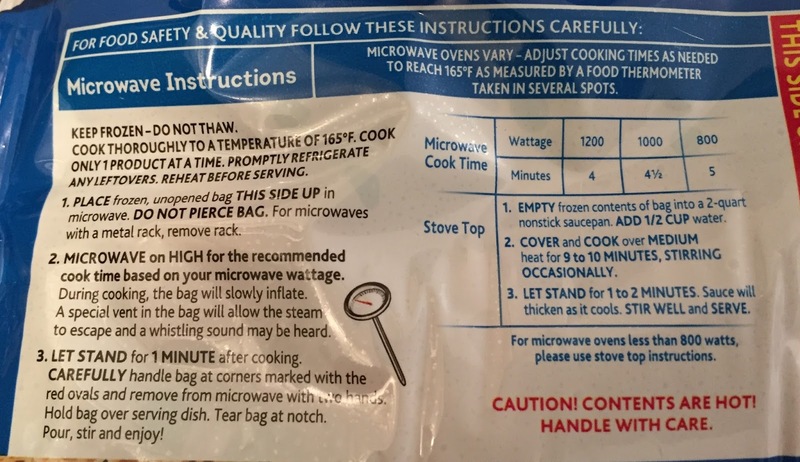 It's a microwavable package, and we heated for 4 minutes, the minimum time written o n the package. 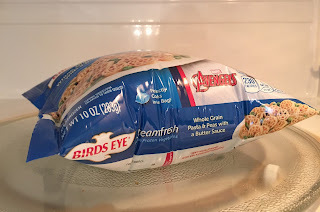 The instruction said to put this side up, but my husband didn't notice and he put this side down. 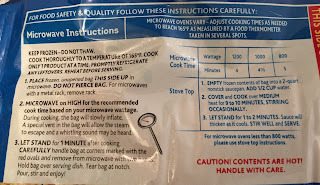 While heated, the bag started inflating and after 4 minutes, it looks like a very fluffy pillow. There're more peas that I had thought. To my surprise, the pasta kept the shapes quite well. 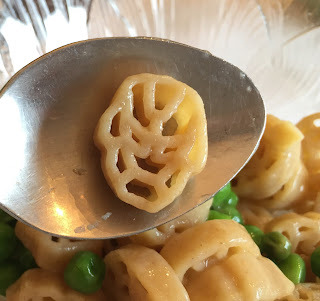 It's whole grain pasta but didn't have the characteristic fragrant scent and I think this can be consumed by those who don't like whole grains. 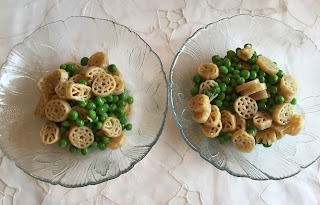 Peas were soft but not mushy, and I enjoyed the green flavor with the light and subtly starchy butter sauce. 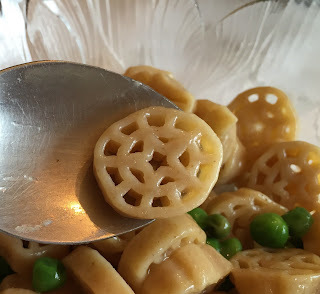 The butter sauce was a bit too bland, yet it means I could add spices to my preference.